Does Herpes Cause Chest Pain? The herpes simplex virus raises a great number of concerns for one’s health. Many complications can arise and there is always the concern of knowing whether something new, such as chest pains, is appearing as a symptom or effect from the herpes virus, or if it is completely unrelated to the herpes altogether. So, does herpes cause chest pain? The herpes simplex virus or HSV can open the door for many other medical conditions. It is very important that if you have been diagnosed, you are in regular contact with a medical professional with regards to your condition and any changes. If you suspect that you could possibly have contracted or been exposed to the herpes virus, you should get tested immediately. The short answer to the question of herpes causing chest pain is that yes, it is possible. If you contract herpes and you have an immune disease, there is the possibility that the virus can spread to other organs and parts of your body. In general, people with immune disorders experience the herpes simplex virus more severely than others, with more obvious and persistent symptoms as well as potential complications with internal organs. Bearing all of this in mind, it is crucial that you get tested regularly and with new sexual partners to keep yourself safe from HSV. Considering the nature of such medical visits, it can be understandable that some would want to go somewhere trustworthy, professional, easily accessible, and affordable. 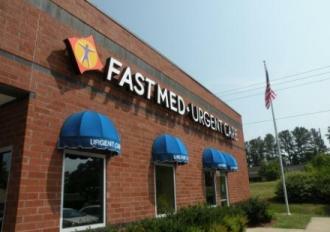 For this purpose, as well as any others, FastMed Urgent Care is an excellent option. With multiple locations open extended hours seven days a week, payment plan options, and years of experience, you are in good hands with our friendly medical professionals.